Sometimes you need a fast track to relief and results. Board & Train/Day School is that ticket. 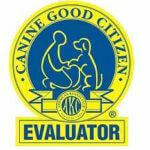 Your dog comes to stay with or spends the day learning from our loving, certified professional trainer. This means a faster and easier transfer of results back at home. You’re busy? Your dog’s bad habits are growing faster than you have the time to train? It’s time to hit the reset button with your dog? You need quick results? You need a break? You need to focus on other important items on your check list? What does Adolescent/Adult Dog Basic Manners Training Cover? Weekly rate for Board & Train is $1750 (7 training days). Why should I send my dog for board & train or day school? We understand life and it’s challenges — between work, school, kids, homework, family, friends, and other commitment, it’s hard to find time to learn to train your dog or change those newly developed naughty adolescent behaviors. You wouldn’t hire a lawyer to learn to argue your case and neither would you hire a mechanic to learn to fix your car’s engine. Why hire a trainer to learn how to train your dog? Leave it to a certified professional to assist you in getting the dog of your dreams, while you focus on other critical things in your life. Our certified, experienced trainer will spend dedicated time with your dog to get the training results for you in a fraction of the time and will provide continued help and support for stronger, lasting results. Ah! We’re so glad you asked this question.There cannot be any guarantee’s when it comes to behavior. Behavior issues are a result of genetics and/or a bad, traumatic, learned experience, especially if it happens during puppyhood. What we can guarantee is a jumpstart to the best possible education he can get, to reach his full potential – and safe, effective and early socialization is the key to this. This means any situation you’d like your puppy to happily accept as an adult – including interacting with people, places, animals, obstacles, sounds and objects — you must introduce to him frequently and positively before he reaches four months of age. Looking for Puppy Board & Train/Day School? Yes, we specialize in that, too. It’s A unique approach to puppy raising. Puppies don’t come pre-programmed with the rules of polite behavior for human society—sitting, coming when called, peeing in the right places, chewing only their own toys. They don’t come with an off switch, either—for the biting, jumping, and seemingly endless energy. Our unique, home-based puppy board & train/day school programs teach your pup the rules of modern family living. And we install that off switch, too. Start with a 90-minute consult so we can understand your goals, assess your dog, and discuss if Board & Train/Day School is the right program for you. Depending on the package, the dog will then stay at the trainer’s home or come for Day School to learn the rules of your home. Four sessions to help you maintain your dog’s new learning.